The KS club takes place in the hall during the later part of the service. The children start in the church and then move to the hall after the minster has a chance to speak to them. 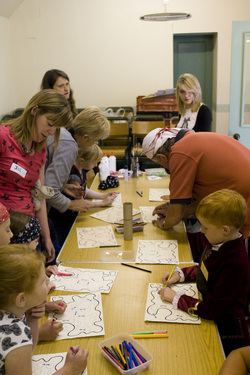 All the activities are fun and engaging for children of any age! During the holiday's the church also runs a holiday club for children to attend with the last one having over 30 children involved!